Maybe it's because I work in advertising as my day job, but I just love looking at vintage magazine advertisments. 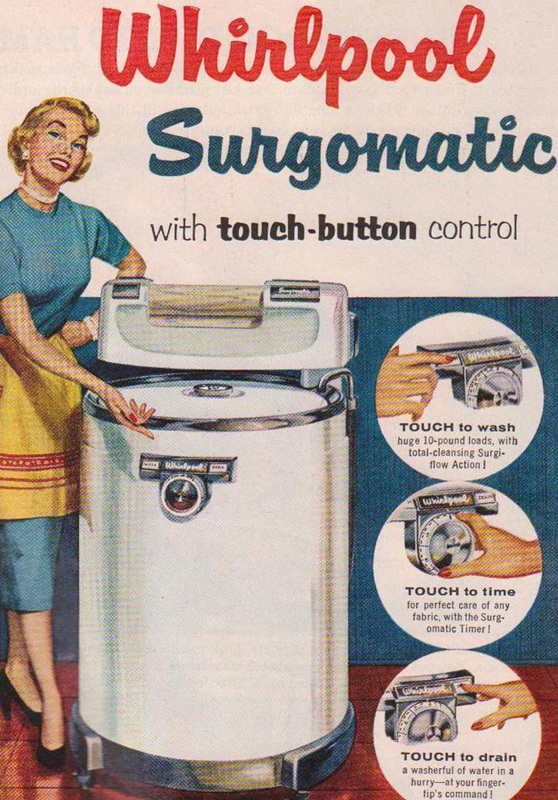 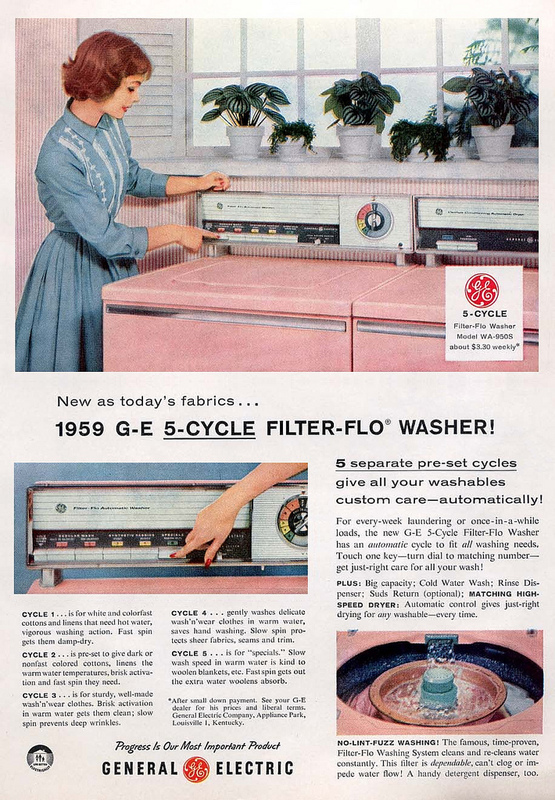 I especially get a big kick out of retro ads from the 50s and 60s for household products. 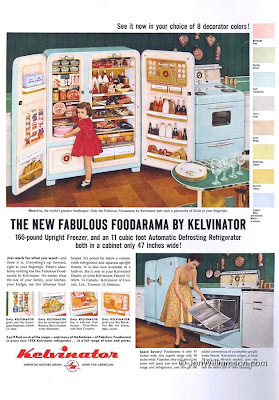 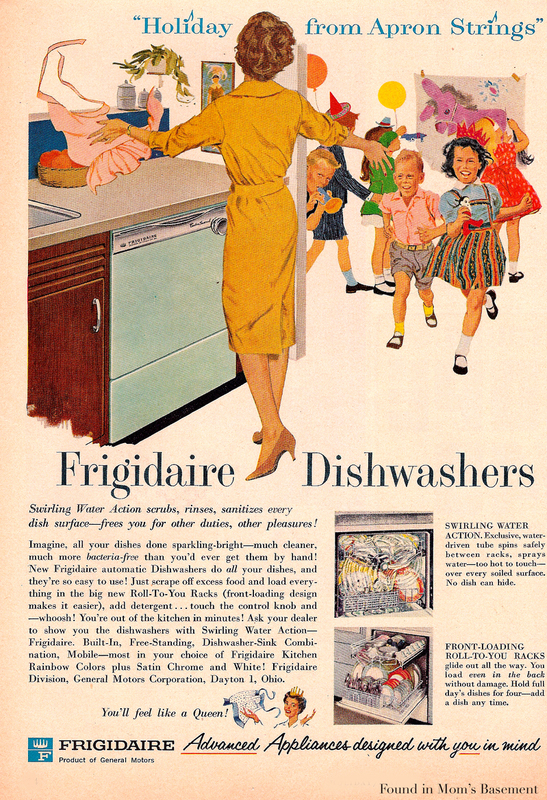 I love how colorful the appliance were back then and how idealistic the homes looked. Here are some very cute vintage magazine ads I came across. 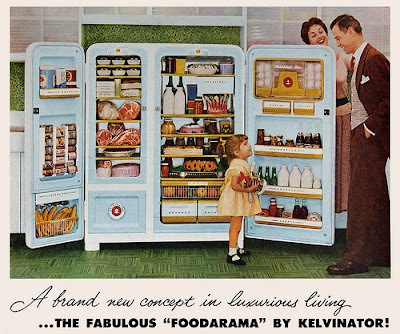 I think some of them would even look cute framed as free retro DIY art for the kitchen or laundry room. Do you get a kick out of these too? 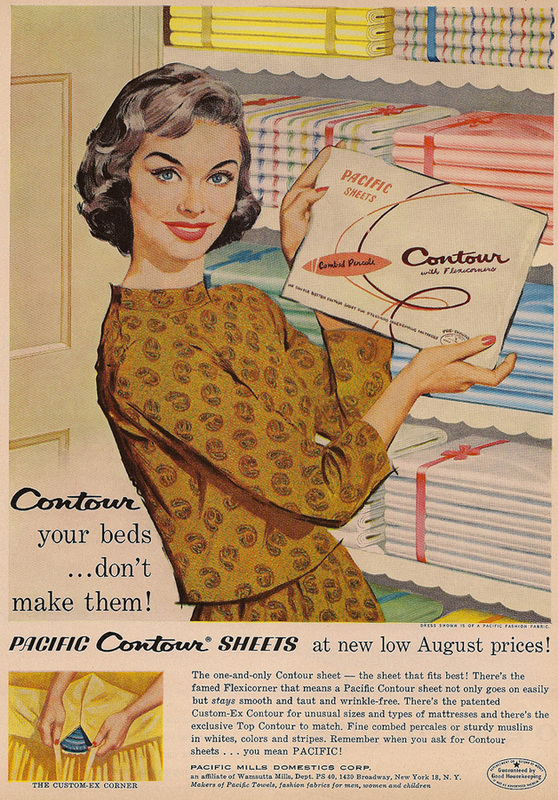 Check out Woman's Day and Found in Mom's Basement for more vintage advertisements. Or if you prefer more "colorful" retro advertising, check out these horribly sexist vintage ads.